100% silk flowers, elastic band. 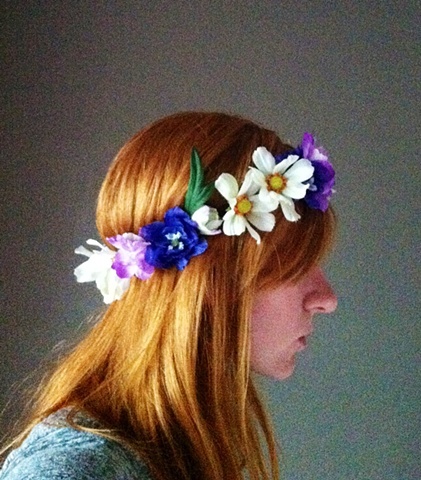 Exude flower power in this one of a kind crown. Peace, love and style.